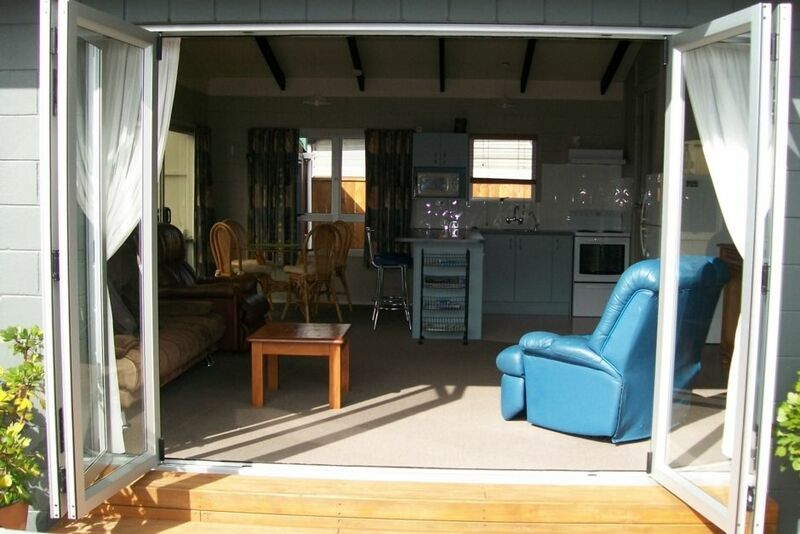 This holiday home is only two minutes to local boat ramp and our beautiful estuary. It is located at the estuary end of Whitianga so cannot really walk to local beaches but Buffalo Beach is only a five minute drive away. There are some great little walks based around the estuary-even the walk to town is worth doing. It has internal garaging which provides secure, covered parking for vehicles etc. Trailer boat storage is safe and secure behind locked gates. Washdown and motor cleaning facilities are on hand. It is fully self contained with all comforts of home.Two relaxing lazy boys with free view TV and DVD player on 36" Flat LED TV screen. Full laundry facilities are available-no drier sorry- but an all weather clothes- line is located on the sunporch. Fish filleting facilities and local knowledge of fishing and diving spots is available from your local, friendly hosts next door. There is a large, private outdoor area with table/chairs and BBQ - this area is child /toddler secure. The property is within reasonable walking distance (or a short drive/taxi ride) to town, shops,cafes,restaurants, bars, New World and Countdown. The bach is situated in a quiet, family friendly neighbourhood but is only minutes away from local attractions such as golf, charter boats, hot springs, mini putt, Banana Boat, wharf, marina, Bike Park, Fun Zone, beaches etc. Minimum stay three nights during high season and two nights at other times. Deposit to be paid for in advance. Really enjoyed our stay. Although the house was a small 2 bedroom it was enough for th 3 of us and the house had more then we needed. We enjoyed our stay very much and would definitely return when we come back to the Coromandel. We also enjoyed the visit from Opal that lovely cat. Our tutors from Pacific Coast Technical Institute always stay at Fisherman's Rest when working in Whitianga and Chrissie always looks after us well. Great place to stay. Lovely, good location, had everything you need. A great place to stay, close to everything, relaxing, has everything you need including a secure yard.